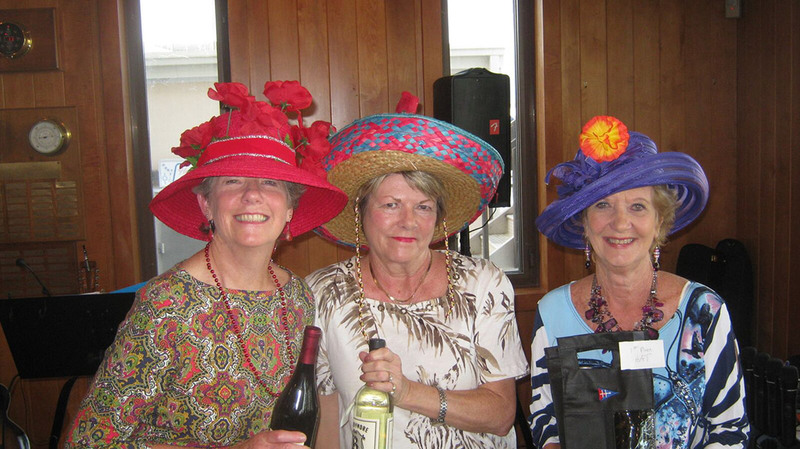 The Hampton Yacht Club Entertainment Committee is made up of volunteers who represent both power boaters and sailors. It is the intent of the Committee to provide a wide variety of programs and events for members of all ages. Annual events include: Super Bowl Party, Chili Cook-off, Sock Burning Party and Dance, Beer and Bingo, Kentucky Derby Party, Cinco de Mayo Party, Factory Point Rafting Party in Back River, Fall Market, Halloween Party, New Year’s Eve Party, Super Bowl Party and Fourth of July Pig Pickin’. For more information on these events refer to the events calendar on contact Ann Marie Harris at aharris@ecpi.edu. The Hospitality Committee was created to provide opportunities for members and guests to meet in a variety of activities that encourage further enjoyment of HYC. We strive to create a presence at HYC where newer members and visitors feel welcome and invited to participate in events. The hospitality committee hopes to explore new ideas for creative and untraditional activities while also providing support to other committees for existing planned events. We have some great things planned for this year, if you would like more information or are interested in supporting the hospitality committee, please contact Nickey Woodfield at hychospitality@gmail.com. The HYC Angler’s Club is a fun bunch of guys and gals that enjoy the sport of fishing in various forms! Meetings will be held at HYC on the 3rd Monday of every month at 6 p.m. and are free and open to all HYC members! The cost to join the Club is a mere $20 which entitles you to a special HYC Anglers hat and the ability to participate in the “HYC Anglers Catch of the Month” which will be featured in the Mainsheet. If you are interested or would like further information about the Anglers, please contact Anne Shortt at anne@hamptonyc.com or 757-722-0711. Join the HYC Sail Strong Team – get your body fit for sailing year round! Personal Trainer Cathy Baity is back and she will share a series of 7 weekly workouts this fall that will target core and balance, and provide strength and conditioning training – all designed make you a more confident and agile sailor. Cathy is an experienced trainer who focuses on sport-specific training for athletes, and she has designed these custom workouts specifically for us. Whether you daysail with your spouse, race dinghies on the weekends, or just want to wake up and feel better each day, this program will help you avoid injuries and enjoy sailing more because you can focus on the fun! Who: Open to all HYC members 18 and older, who want to get fit! Guys and Gals! Sailors and Non-Sailors! What to Bring: Bring water, yoga mat (the thicker, the better), and towel. If you have hand weights, yoga ball or Bosu ball you can share, please bring those. How: Call Anne at the HYC office at 722-0711, or email her athyc@hamptonyc.com and let her know you’re coming, or you can just show up and participate. Cost: First session for new participants is FREE; 1 session-$15 each, all 7 sessions-$90. A portion of the proceeds will benefit the HYC Adult Sailing Programs.